A 30″ deep solid roofed porch, shown here with Ironwork supports. The supports are robust solid steel sections that offer an understated solution that work well with contemporary or more traditional properties. Shown with 18″ circular planters. 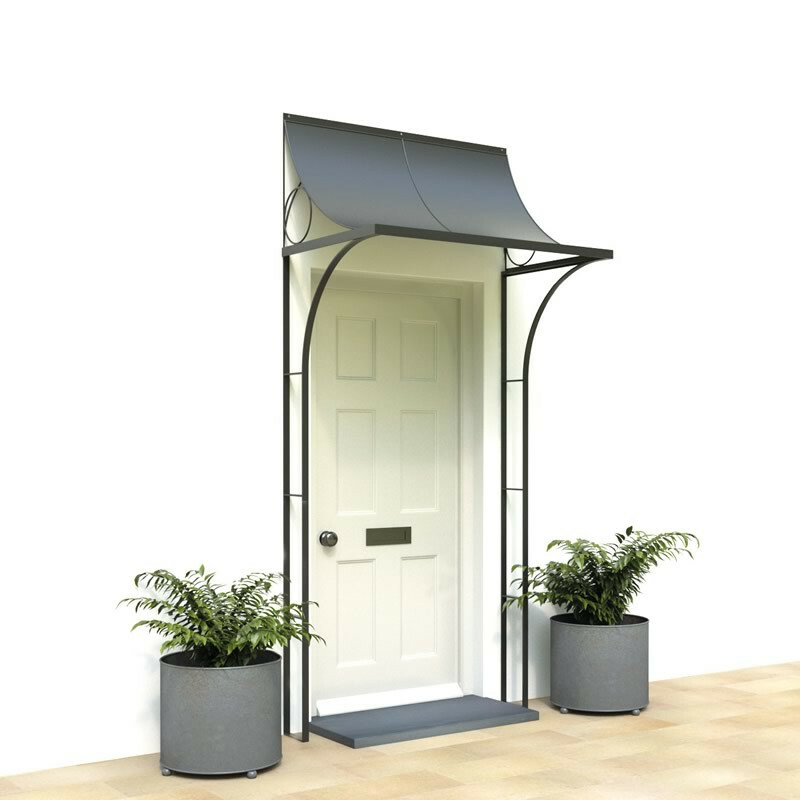 Our solid steel Ironwork porch is hot dip zinc galvanized before painting matt Black or Grey, or can be Aged to achieve a mellow zinc patina that looks like a lead roof. We can modify the height of the ironwork sides to suit your doorway. The 24” high porch roof projects 30” from the wall and has a front lip to guide rainwater sideways. We’re delighted with our made to measure ironwork porch, and together with our matching steel planters, it’s the perfect finishing touch for our doorway.